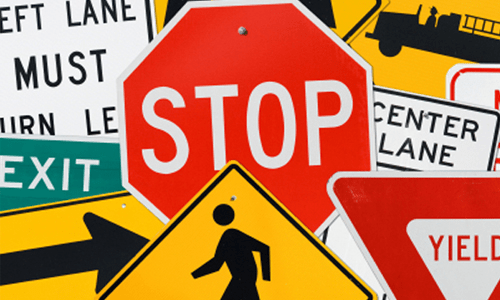 Businesses with fleet operations must be proactive in improving road safety. They have an obligation to protect the drivers whom they employ and other drivers on the roadways. That is why many businesses are turning to new technology to help the improve road safety. Many business owners and fleet managers are working hard to cultivate a workplace culture that promotes safe driving practices. While businesses are striving to stay competitive in these hard economic times, many are finding it equally as important to stay dedicated to supporting their community and encouraging their employees to improve their driving practices. Driving at an increased speed increases the likelihood of a crash and its consequences. If a driver gets into an accident driving 35 miles per hour, it is twice as likely that someone will be killed in that crash than if the driver was only going 30 miles per hour. There are many ways to reduce vehicle speeds including stricter speed enforcement, road design and legislation. Businesses with fleet operations are using their GPS based fleet management system’s automatic notifications and management reports to reduce speed violations while drivers are on the job. If a driver’s speed goes over a set threshold, an alert will automatically be sent to the fleet manager’s email or be posted in the web-based software’s dashboard. In addition, custom management reports can be created to inform the fleet manager of the drivers speed violations and other dangerous driving violations. The seatbelt is, perhaps, the best safety device that was ever developed for the automobile. Wearing this simple strap can reduce the risk of a car crash related death by up to 60%. If all drivers drive according to the posted speed limits and wear their seat belts, each year approximately 12,000 lives could be saved and 180,000 injuries could be prevented in the United States. While seat belt laws have increased the use of seat belts, some drivers still choose not to wear it. This does not have to be the case when a driver is on the job. Fleet managers can use their GPS fleet management system software to receive alerts and management reports informing them of whether or not the drivers and/or their passengers are wearing their seat belt.